The night of October 18, 1974, started out like any other: a young woman from Midvale, Utah, was meeting up with some friends for pizza. Her night, however, would end up far different than what she expected. No one but she and her attacker would ultimately know what happened, and her lifeless body, stashed in nearby Summit Park, would not be found for days to come. “Girl Missing From Midvale” was the first of many articles that started a media frenzy concerning stories of several young women and their unexplained disappearances. The headline from The Herald, October 21, 1974, was simple. The article described the missing young woman’s clothes, hair color and when she was last seen. Hope was still in the air that she might be found alive. 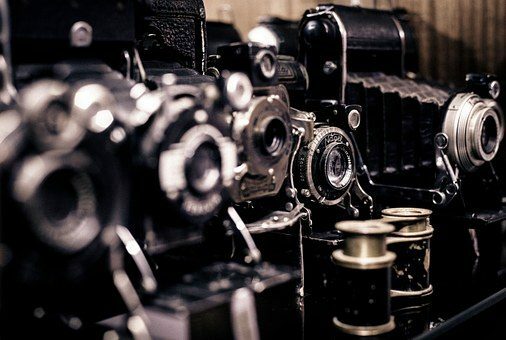 Days later, more articles started to flood the local Utah newspapers, including The Herald, in Provo, the Ogden Standard-Examiner, and The Salt Lake Tribune. The newspapers had one thing in common: they wanted to find out what was happening to these young women, and who was responsible. Headlines ranged from “Police Press Search for Girl, 17,” which appeared in The Salt Lake Tribune on October 22, 1974, to “Hunt Goes On, Slayer of Girls Eludes Identification, Arrest,” which was published in the Tribune on December 8, 1974. Panic was spreading across the state as The Salt Lake Tribune reported on October 28, 1974, that the first missing young woman had been found dead. “She had been shot in the back of the head. A stocking was knotted around her neck,” noted the article. Police didn’t know how someone could have done something so heinous, so inhumane. A few weeks later, on November 12, 1974, the Ogden Standard-Examiner printed a story about a young woman — who remained anonymous in the newspapers — who had survived an attempted kidnapping at Fashion Place Mall, in Murray, Utah. The article also notified the public of yet another young woman who was now missing from Bountiful. The anonymous victim’s vivid account of what happened to her that fateful night at the mall would ultimately be the key to linking one man, Ted Bundy, to these heinous crimes. "Sketch composite of Bundy." The Salt Lake Tribune, November 14, 1974. Although Bundy was finally arrested for kidnapping numerous women, and later murdering them, initially the Salt Lake City police were having a hard time linking Bundy to the reported crimes. “We are attempting to determine if there is similarity in all the acts or if they have been committed independently,” said Salt Lake County Sherriff’s Captain Pete Hayward in the Standard-Examiner. There were no witnesses, Bundy had no accomplices, and except for the anonymous young woman who managed to escape, his victims never got away. The woman’s description of Bundy’s car, his clothes and a sketch composite she provided were the only real pieces of information authorities had to go on. 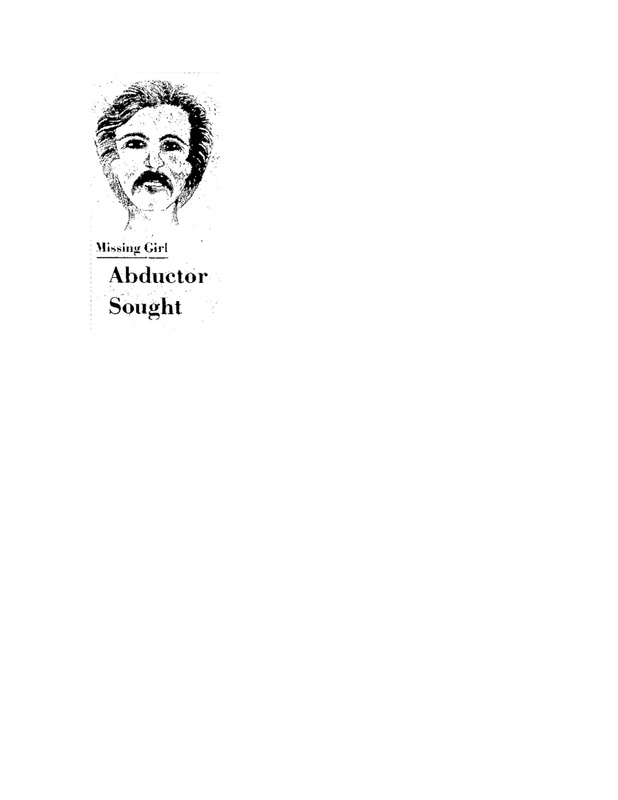 The woman’s sketch of “Abductor Sought” finally appeared in The Salt Lake Tribune on November 14, 1974. It was the first paper in Utah to publish a sketch of the attacker. Police Captain Hayward said, “We’re back to beating the bushes,” as a result of having to release a 21-year-old suspect for lack of evidence. From October to December 1974, the newspapers printed continuous information about at least three missing women — some of whom were never found, some of whom were later found dead — and the lack of leads in the cases. It wasn’t until one year later, in October 1975, when the Ogden Standard-Examiner published a headline, “Utah Student Seized in Attempted Murder, Kidnaping [sic],” that Ted Bundy’s name would be associated with the crimes. Once the public found out the suspect’s name, and that he was a University of Utah law student, the associative descriptive identity seemed to be inserted into every headline reporting on this unfolding story. Also, that same month, the anonymous woman was finally publicly identified as Carol DaRonch. When The Salt Lake Tribune published a headline, “U. Law Student Charged in Kidnaping [sic],” the public finally had a name to attach to DaRonch’s assailant: Ted Bundy. DaRonch’s account paid off, and Bundy was arrested, not for the previous missing women, or their murders, but for the attempted kidnapping of DaRonch. The Salt Lake Tribune published on October 3, 1975, “U. Law Student Charged In Kidnaping [sic].” The story began, “A University of Utah law student was charged Thursday,” which stimulated ideas that Bundy was smart and well educated. 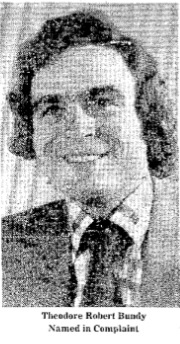 The article provided additional background information and reported that Bundy was a second-year law student who “had served as a campaign assistant for the Republican chief executive.” In addition, Bundy “was assistant director of the Seattle Crime Prevention Commission in 1973, and received publicity when he reportedly captured a purse snatcher.” The article included the first photograph of Bundy, dressed in a suit and tie, and clean-shaven. Serial killers have long been associated with being smart, sly, cunning, and persuasive. Ted Bundy had more than just a bachelor’s degree in psychology (The Salt Lake Tribune, October 3, 1975); he had the newspapers rallying behind him supporting that thesis. By reporting his status in education and his community efforts, the media inadvertently drew attention away from the fact that he was the lead suspect in an attempted kidnapping and aggravated murder charge. "U. Law Student Charged in Kidnaping," The Salt Lake Tribune, October 3, 1975. The media created a sensation following a man who many believed could not have committed such a crime. By November 1975, Bundy was not known as a serial killer, nor had he been officially linked to the murders of several young women in Washington, Colorado, and Utah. Bundy was not convicted of kidnapping DaRonch until March 1976. At the time, he was also on trial for the murder of a Colorado woman, Caryn Campbell. In June 1976, Bundy was sentenced to one to fifteen years in prison for aggravated kidnapping and one year later, he escaped. He was found a few days later and returned to prison. In December 1977, he escaped again and fled to Florida. Bundy was finally found and arrested in Florida while driving a stolen vehicle. In 1989, Bundy received the death sentence. According to Ann Rule, “Two days before his death, Bundy admitted to killing a score of other women and girls in Washington, Colorado, Utah, Oregon, and Florida.” (Rule, cited by Saltzman, 1995) Bundy was executed by electric chair at dawn on January 24, 1989, at Raiford Prison in Starke, Florida. April Anthony Critchfield is a senior at the University of Utah. She graduated in August 2012 with a Bachelor of Science degree in speech communication. “Bundy Tests Utahn On Kidnap Details,” The Salt Lake Tribune, November 17, 1977. “Utah Woman Positive: Bundy Was Kidnaper,” The Herald, November 17, 1977. “Bundy’s Attorney Requests Disclosure of Evidence,” The Salt Lake Tribune, December 23, 1975. “Defense Asks ID Pictures,” The Herald, December 23, 1975. Peter Gillins, “Law Student Bound Over Kidnaping; 2nd Charge Erased,” Standard-Examiner,” November, 27, 1975. Ken Connaughton, “Ruling Wednesday – Bundy Receives Closed Hearing,” The Herald, November 25, 1975. “Blood Sample Ordered In Law Student Case,” The Herald, October 16, 1975. “Suspect Thanks Seattle Friends,” The Herald, October 13, 1975. “Utah Suspect Once Checked in 6 Deaths,” Standard-Examiner, October 12, 1975. “Parents Defend Son in S.L. Jail,” The Salt Lake Tribune, October 10, 1975. “Bundy Arrest Sequence,” The Herald, October 6, 1975. “Kidnap, Slay Try Suspect Stayes [sic] in Jail Without Bail,” The Herald, October 5, 1975. Clark Lobb, “Friends ‘Stand By’ Him, Kidnap Suspect Claims,” The Salt Lake Tribune, October 5, 1975. Peter Gillins, “Utah Student Seized in Attempted Murder, Kidnaping,” Standard-Examiner, October 3, 1975. Clark Lobb & Tom McCarthey, “U. Law Student Charged in Kidnaping,” The Salt Lake Tribune, October 3, 1975. “Girl Slayings,” The Herald, December 25, 1974. Clark Lobb, “Hunt Goes On, Slayer of Girls Eludes Identification, Arrest,” The Salt Lake Tribune, December 8, 1974. “Police Chase Leads In Kidnap-Murders,” The Salt Lake Tribune, December 5, 1974. “For Slayer of Midvale Girl Secret Witness Posts Reward,” The Salt Lake Tribune, November 19, 1974. “Police Artists’ conception of a suspect,” The Herald, November 17, 1974. “Missing Girl Abductor Sought,” The Salt Lake Tribune, November 14, 1974. “Police Try to Link Kidnapings,” Standard-Examiner, November 12, 1974. “Intermountain Area Obituaries – Melissa Smith,” The Salt Lake Tribune, October 29, 1974. “Chief’s Daughter Found Dead,” The Salt Lake Tribune, October 28, 1974. “Police Press Search for Girl, 17,” The Salt Lake Tribune, October 22, 1974. “Girl Missing From Midvale,” The Herald, October 21, 1974. Associated Press, “Ted Bundy Timeline,” Deseret News, February 13, 1999. Rachelle H. Saltzman, “‘This Buzz Is For You’: Popular Responses To the Ted Bundy Execution,” Journal Of Folklore Research 32, no. 2 (1995): 101-119.